One mother said she feared being reported to social services daily because people confuse her son's symptoms with neglect. 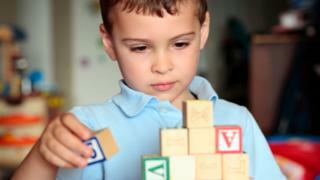 An Integrated Autism Service being rolled out in Wales aims to raise awareness and improve support. But solicitor Julie Burton from Bangor said parents were often blamed for what is perceived to be their child's bad behaviour if they appear to "melt down" when they experience a sensory overload. "I've lost count over the years of the number of parents that have been told it's their fault in some way or another, that they're not adequately parenting the child," she said. "They're told all they need to do is adopt particular strategies from parenting classes and all their problems will be solved. "But it's missing the point - you can be the world's best parent, but if you've got a child presenting with really difficult behaviours, no amount of amazing parenting, or parenting courses is actually going to address the root cause." 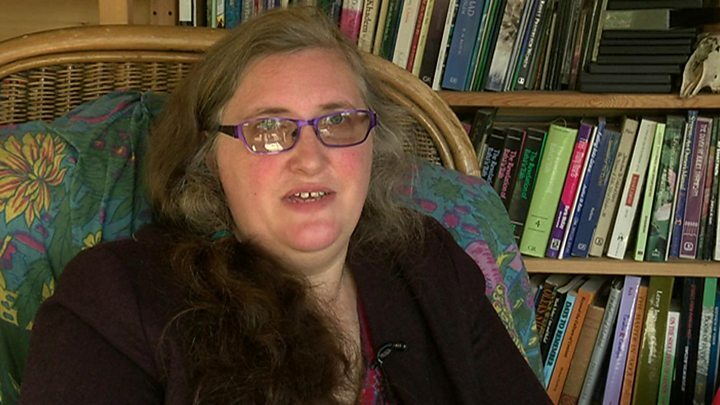 Anna Reynolds, from Conwy county, suspects all three of her children are on the autistic spectrum though only one has been diagnosed - he now attends a special school. "There are things he finds very difficult - like bathing, having his hair brushed and changing his clothes," she said. So quite often his clothes are grubby his hair is tangled, his hands are dirty, but he is healthy, he's happy and we are trying to educate him." But an unconventional appearance, she said, meant she had a daily fear of being reported to social services. "If you step out into your front garden someone can see you, and if you raise your voice in the house someone can hear you. "You feel there are eyes everywhere and everything that happens they will interpret through their own filter, they won't try to understand it from your point of view, they don't necessarily know about the autism, so living in that sort of situation there's a daily fear of that happening." Geraint Hopkins, deputy spokesman for the WLGA on social services, said: "Attitudes are changing but I think we'd accept they're not changing quick enough. "That's why the Integrated Austim Service is so important, and why local authorities have to play a key role in helping change those attitudes, promoting understanding and indeed reforming our own services to ensure we're catering for people with all these different challenging needs."